Ehpro 2-IN-1 Fusion Kit is a revolutionary kit with 2 separate chips that can be used to power each coil independently in the RDTA. Each coil has 2ml capacity and several buttons enable to adjust wattage from 1W to 150W when only one side. Ehpro 2-IN-1 Fusion Kit is a revolutionary kit with 2 separate chips that can be used to power each coil independently in the RDTA. 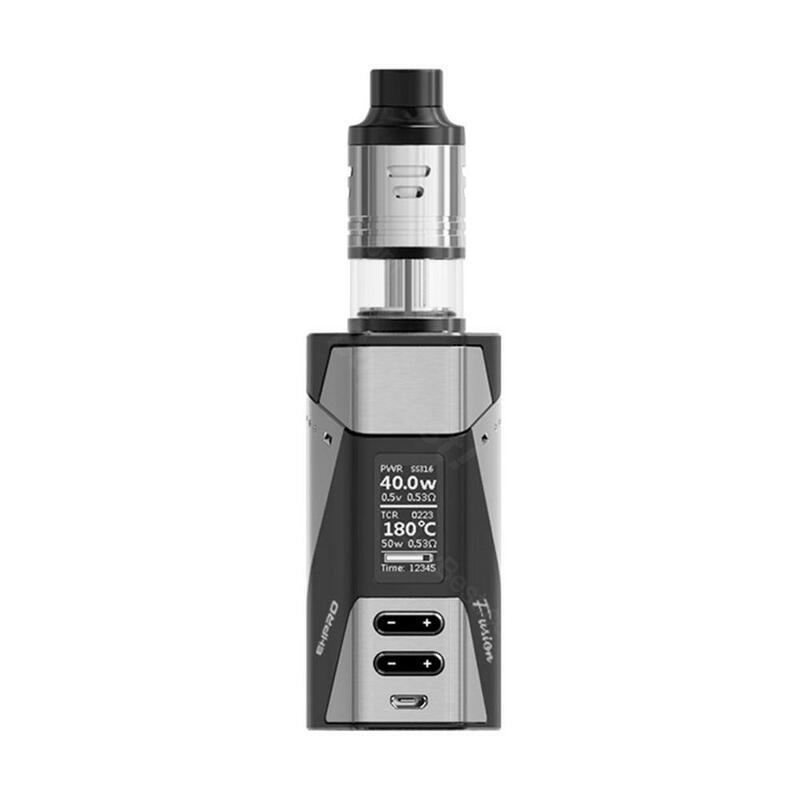 Each coil has 2ml capacity and several buttons enable to adjust wattage from 1W to 150W when only one side. Wattage rates from 1w-100w when both side alive. This also adopts bottom airflow, adjustable side airflow, and black delrin wide bore drip tip. You will be attracted by the superior stainless steel construction and unique design. Get this innovative kit now! • No 18650 battery or e-liquid. • 3 month warranty for Fusion Mod and tank. C’est donc dommage, cela partait d’une bonne intention mais c’est raté. Par contre, ce kit est super efficace en mode normal. Utilisé comme ato double coil (avec le même juice dans les deux réservoirs), le Fusion RDTA est redoutable niveau saveur et vapeur ; et la box Fusion est très sympa à l’usage! See more Ehpro 2-IN-1 Fusion Kit review. Personalizing it for my husband and his character... he loves it, and everyone who has seen it has asked where he got it and where they can get one for themselves. Haven't had it long but so far I'm impressed. Feels solid in the hand, big fire button is easy to hit, and the mod looks pretty good in this colour combination.